Rolwaling valley is the east-west valley below Mt. Gauri Shankar (7145 m) and just south from the Tibetan boarder. This is totally isolated and culturally diverse area. The area is just south from the Tibetan boarder so it is more like Tibetan culture are here. The area contain of cultural and isolated village, glacier lakes and so on. It is a least visited areas to give extra ordinary possible discovery of primitive Nepalese village, lifestyle, isolated and untouched areas. Where not many foreigners have been there. Those areas are totally least crowed. 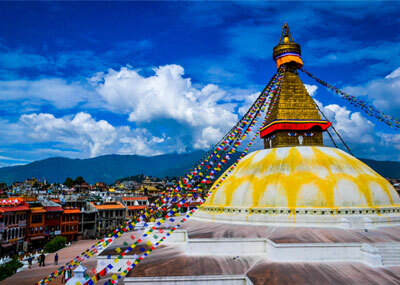 We will send you with our locally known guides, to meet the Nepalese culture and religion in its own nature and pace. Day 03: Kathmandu – Barhabise by bus. Day 04: Barhabise – Devi Sthan – 1800 M (5-6 hours walk). Day 05: Devi Sthan – Ki Dorje – 3000M (6 hours walk). Day 06: Ki Dorje – Bigu Gompa – 2500m. (6-7 hours walk). Day 07: Bigu Gompa – Laduk Phedi – 1200 M. (6 hours walk). Day 08: Laduk Phedi – Shingati 1300m. (4-5 hours walk). Day 09: Shingati – Hilepani 2500m (5-6 hours). Day 10: Hilepani – Kalipokhari 3100m (5-6 hours). Day 12: Kalinchok – Free day. Day 13: Kalinchok – Charikot 1900m. (4 hours). Day 15: Kathmandu – Sight seeing. Transportation by car for sightseeing in Kathmandu valley. Accommodation in standard hotel, Kathamndu on B. B. Plan. Transportation by bus Kathmandu – Barhabise // Dolakha – Kathmandu. Camping equipment: two men tents, dinning tents, toilet tents, kitchen tents, mattress, down jacket, down sleeping bags. Trekking permits: trekking permit, TIMS, Entry Permit.